Jet-Seal specializes in parking lot sealcoating. Other services we provide include; asphalt paving & repair, hot and cold crack repair and line striping. We use our experience and the latest equipment available to get the job done right the first time in a timely, cost effective manner. The Jet-Seal name is built on customer satisfaction and principles of quality and value. Jet-Seal is a Columbus sealcoating leading applicator of 100% coal tar emulsion. 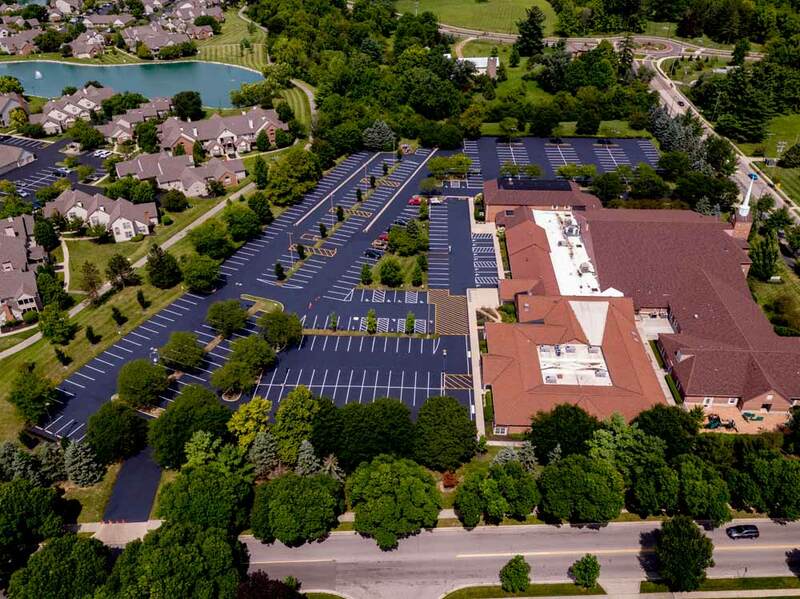 Millions of gallons have been successfully applied to commercial parking lots, residential driveways, shopping malls, industrial parking lots, roadways and various other pavement surfaces throughout Central Ohio. Helping businesses save hundreds of thousands of dollars with regular maintenance of parking lots. We use commercial grade equipment to ensure the highest quality workmanship. We work with property management companies and property managers to extend the life of your parking lot with regular maintenance. Filling potholes as well as crack sealing and sealcoating, we help property managers keep their parking lots in good shape. 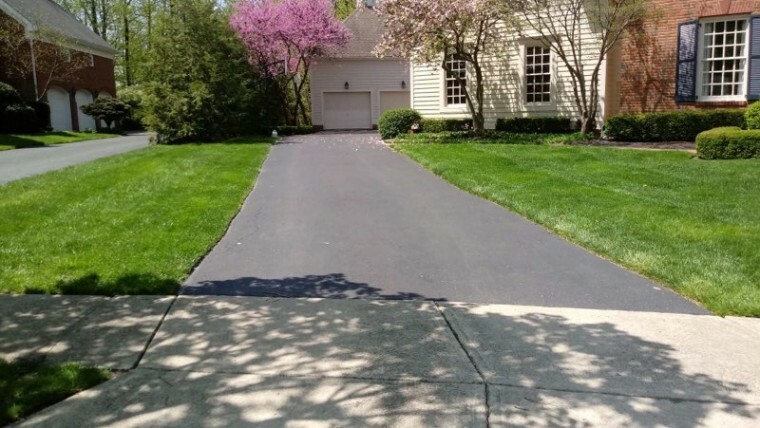 Jet Seal provides Central Ohio businesses and residents with the highest quality materials and process to maintain your driveways and parking lots. With regular maintenance the life of your blacktop is extended many years. 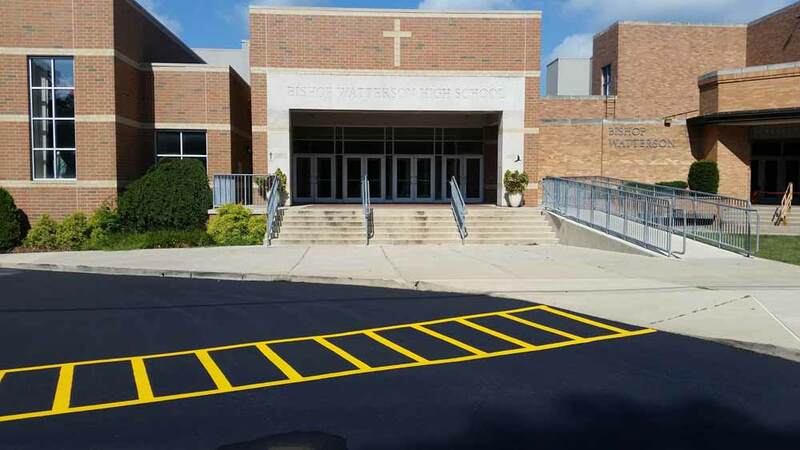 JET-SEAL is the only asphalt service company in central Ohio exclusively using Poly Coat by The Brewer Company. All pavement products are not created equally. When deciding which sealer to use on a job, understand the differences in manufacturing before you buy. 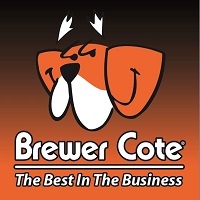 Brewer Cote uses only tested and certified raw materials in a sophisticated colloid milling process to produce the most consistent pavement products available. Learn more about Why Jet-Seal Chooses Brewer Cote® Asphalt Sealer. Jet-Seal, a third generation, family owned, and operated business has been maintaining asphalt in central Ohio for the past 60 years. Westerville has been our home since 1979. Over the years we have applied well over a million gallons of sealcoating in the commercial, residential, industrial and municipal markets. Jet-Seal continues to earn an A+ rating. Jet-Seal has Angie’s List’s highest rating and has earned the coveted Super Service Award several times including the past three years. Since 1958, Jet-Seal has been and continues to be a name you can trust. We are proud to have serviced loyal customers for decades. The heartbeat of our business is our customers and we will go the extra mile to make sure we continue to deliver the best results and over time offer the best value for your dollar. Whether you have a residential driveway or a shopping center, we have the experience, knowledge and equipment to do the job right the first time. We are proud to use products by The Brewer Company, “The Best in the Business”. While other contractors have access to Brewer Cote® products, Jet-Seal is the only company in central Ohio that purchases the product pre-mixed, assuring that the water content is exactly what the manufacturer recommends for the best results. We purchase the product in bulk, forty-five hundred gallons at a time and that exact product we purchase is applied to your driveway or parking lot without any modification other than adding silica sand. Silica sand is added at different percentages designed for specific applications. The sand extends the life of the application and helps with slip resistance. As central Ohio continues to have an influx of new businesses and homeowners moving in from other regions we often encounter people who are unfamiliar with asphalt and the maintenance that goes along with it. A question we are often asked is, how long should new asphalt cure before sealcoating. We advise waiting at least eight weeks and preferably up to a year before sealcoating The light oils in asphalt need to dissipate for the asphalt to properly harden. The oxidation process begins as soon as the asphalt is installed and will eventually fade the pavement from a deep black color to grey. Sealcoating is the process of replacing these light oils to keep the asphalt from raveling. Asphalt is a mixture comprised of mineral aggregate and liquid asphalt, the glue that binds the mixture together. Raveling happens when the aggregates become displaced from the mixture due to the oxidation process. The result of raveling is water penetrating the structure and presenting the opportunity for cracking. This process is compounded, especially here in central Ohio by the freeze/thaw cycle. Another question we are asked frequently is how often sealcoating should take place. Jet-Seal uses a quality product, Brewer Cote® which contains the highest solids content on the market. Solids content is what is left of the product, on the pavement after the water and volatiles have evaporated. All commercial sealcoating products used in our area are water based. Many contractors will exceed the recommended amount of water in the mixture, diluting the product and causing the solids content to be decreased. Obviously, this will directly impact the longevity and effectiveness of the application. Jet-Seal has their product shipped directly from the manufacturer in a ready to use mixture assuring that the coating we apply outlasts the competition. There are variables that dictate how often asphalt should be sealed. For instance, on commercial properties there is more likely to be a higher volume of traffic, causing the film of the sealcoat to wear more rapidly. Snow plowing is also much harsher on commercial pavement due to the type of equipment being used. An average maintenance schedule for a commercial property is two coats every three years. For a residential driveway we recommend two coats the very first time it is sealed and then a single coat every other year. Sealcoating too often can cause problems. So, allow the coating to wear before applying more. Sealer build up will cause “mud cracking” (surface cracks). If you are using a company that advises annual sealcoating, you most likely need to change contractor’s. A well-designed maintenance schedule will not only protect your asphalt and add considerable curb appeal to your home, but it will also save you a lot of money over time. A properly maintained asphalt pavement will last up to three times longer than a non-maintained surface. The cost of sealcoating is pennies per square foot versus dollars per square foot for paving. Would you buy a new car and never change the oil? The same principal applies to asphalt. A question most customers, both residential and commercial ask is how long to stay off the pavement after a sealcoating application. The Brewer Company®, our product manufacturer recommends 24 hours. Conditions such as cool temperatures and high humidity will inhibit drying time. When such conditions exist, we suggest 48 hours. Temperatures should be at least fifty degrees and rising with nighttime temperatures not falling below fifty degrees. Some customers are confused about the difference between drying and curing. Drying can take place in as little as 15 minutes if the sun is shining directly on the pavement, the temperatures are above 70 degrees and the humidity is relatively low. 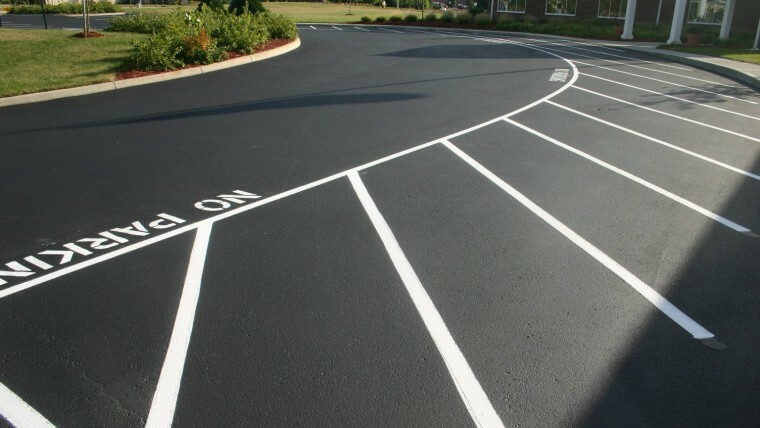 You can see the color of the sealcoat turn from a glossy wet look to a flat, less glossy appearance. An hour or so is a much more common time frame. At this point, if it is dry to the touch you can walk on it. But, it is still not ready for automobile traffic or anything with rubber tires for that matter. Curing is a separate process that can take up to a couple of weeks, depending on the above conditions. Curing is deemed complete when all the water and volatiles in the sealcoat have dissipated. With that said, you don’t need to stay off the pavement until the coating is fully cured. The length of time required for curing just doesn’t make it practical to remain off the asphalt for most people. Still, you may encounter some issues due to driving on the pavement before it is fully cured. For instance, sharp turns of the wheels, especially while the vehicle is not moving may cause tire marks to appear. After the product is fully cured, 90% of the time the tire marks will go away. If they don’t completely go away we will come back in a few weeks, after curing is completed and touch the area up. Dry time is especially important for some of our commercial customers. A closed off parking lot can equate to lost profits. Our goal is to increase your customer volume and revenue by enhancing your property, not cost you revenue due to our maintenance. Some inconvenience is unavoidable, but we will do our best to minimize the down time. We can break down the application in phases so that your customers still have parking access. Often, the work will be completed on a weekend when the parking lot is not being used, (just the opposite for places of worship). We also include additives, acrylic polymers, in our product that will accelerate the dry time. Most people want to know exactly what the process consists of. The first thing we will do is trim back any grass off the edges or around the curbs. We then clean the surface with commercial, forced air blowers and if necessary, steel highway brooms. Now it is time to seal any cracks that may be wider than one quarter inch. For driveways, we use a cold pour (out of a bucket) crack seal product. For commercial properties we use a hot rubber sealant. The hot rubber sealant is more effective but is not as attractive as the cold pour product. Commercial customers tend to choose performance over aesthetics and vice versa for residential customers. After the pavement is clean and the cracks are sealed we look for any wet fluid stains. We spot prime those areas with a specialty primer to assure proper adhesion and to keep the stains from bleeding back through the sealcoat. The next steps will be dictated by the type of pavement we are servicing. For a typical driveway, we use an industry specific brush to apply the product. These brushes are usually thirty inches long with two-and-a-half-inch nylon bristles. We take immense pride in our experienced applicator’s and their ability to keep the sealant off any structures other than the driveway. Finally, for driveways we install a temporary barricade (flagging tape) to inhibit anyone from pulling into the driveway before it is ready for traffic. For commercial properties or larger residential driveways, we most likely will use a different application method; typically, a mechanical squeegee machine or spray method. We will apply an initial coat, making sure to barricade any entrances. We will allow the first coat to dry before applying a second coat, again making sure all entrances and exits are barricaded. If the project calls for striping, after the second coat has dried we will paint the traffic control lines. Many facility managers ask which application process is best. The answer is, each have advantages and disadvantages. The determining factor is the amount of product applied. What can a customer do to adequately prepare for a sealcoating application? For residential work we ask that the vehicles be removed by 8:00 AM. We rarely get started before that time, out of consideration for the customer’s neighbors. After all, our work from beginning to end is an audition for future customers. An effective way to get off on the wrong foot is to upset those prospective customers by running our equipment at the crack of dawn. Please note that although we ask the cars to be removed at that time, it doesn’t mean we are going to be starting on your driveway at 8:00 AM. We don’t finalize the route until the morning of the application, but allow me to explain why we request the vehicles be removed as early as possible. We have several crews out on any given day, so some customers are going to be first on the list, some last. Over the years we have had customers not realize we were at their property, ready to start the process. Even though we knocked on the door or rang the doorbell, for assorted reasons they didn’t hear it. A few years ago, we were servicing a driveway in Powell and the homeowners came out just as we were finishing up. They were both doctors and had to get to the hospital in a hurry. They were in the shower and didn’t hear us knock. They ended up calling a cab as opposed to driving on the freshly applied sealcoat. Also, make sure the sprinkler system is turned off, if you have one. More than a few times the sprinklers came on during the application and washed sealer away, sometimes splattering on the home or running onto concrete. Put the pets away. Paw prints of asphalt sealer on concrete or brick pavers typically is not welcomed. Move any planters or objects off the driveway. Please don’t have a stack of firewood, mulch or other debris on the driveway unless we have been made aware of the situation and priced the work accordingly. Commercial customers also need to make sure to turn the sprinkler system off, cancel any deliveries for the next day or two and have all vehicles off the pre-determined work area. Some time ago, we were sealcoating a condominium complex in Galena. The entrance to the complex was about a half mile long, leading back to the condos. There was only one way in and one way out. We set up cones all along the asphalt entrance and barricaded one side while sealcoating, allowing traffic to come and go on the other side. The next day we used the same method, changing sides. There was a communication breakdown between the condo association and the refuse company. The driver of the trash truck drove through the barricade, all the way up to the condo units on the freshly sealed asphalt. We were eventually able to correct the tire marks throughout the entrance lane but not without considerable effort. So, why choose Jet-Seal over the competition? Sure, we have been around a long time and have proven to be trust worthy. We have won a lot of awards for excellence in customer service and relations and use the best product available. We have state of the art equipment and skilled applicator’s. We are family owned and operated. A family member will be involved in all aspects of the service, from sales to scheduling and most importantly, customer service. Don’t just take my word for it, check out our online reviews. We always encourage our customers to be diligent in researching any contractor before hiring. Never hire a contractor who knocks on your door offering a “today only” price or one making claims to have “left over material”. Never hire a company with out of state license plates.  Check with the Better Business Bureau and other agencies such as Angie’s List. Asphalt maintenance is not unlike any other purchase; if it sounds too good to be true, it probably is. Don’t hesitate to ask for a copy of the contractor’s general liability insurance or Worker’s Compensation certificate. In closing, we’ll work hard for your business and work just as hard to retain it. We’ll treat every customer as if they are our only customer. We won’t be satisfied until you are satisfied. Those are the principals my father founded the company on and it has been a simple and successful mantra. To request a free estimate with no obligations, visit our website at jet-seal.com or give us a call us at (614) 882-6000.